Ajman: Authorities in Ajman have launched an investigation into the death of a 7-year-old Emirati boy in the early hours of Tuesday after he was given a routine vaccine at his school on Monday. Authorities have not disclosed what type of vaccine it was but the boy’s family say he was suffering from fever at the time of the injection and should not have been administered the jab. An official at the government school where the boy studied confirmed that he was given the vaccine at the school on Monday but died later at home in the early hours of Tuesday. His family found him unresponsive when they tried to wake him up for school the next day at around 5.30am. They took him to hospital where he was pronounced dead on arrival. We do not know if the vaccine blamed on the boy’s death is responsible because all of the other students took the same vaccine on the same day and nothing happened to them, so we are investigating. A Ministry of Education official told Gulf News that all staff hired in school clinics were from Ministry of Health hospitals and were professional and well trained in dealing with students. 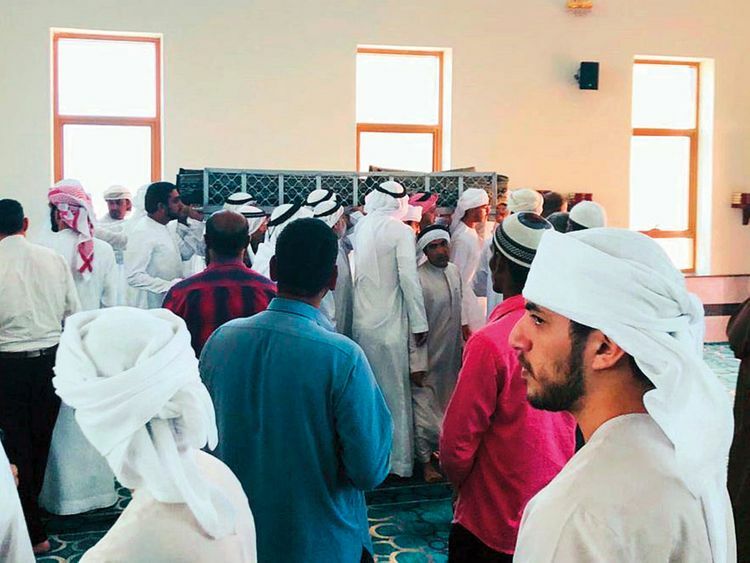 The boy’s funeral took place at Al Jurf cemetery on Tuesday after Dhuhur prayers. A family member told Gulf News that this was the second tragedy to befall the family in three months after the death of the boy’s sister in November.